With the rising cost of energy across the United States, and the increasing demand for power, many businesses and homeowners are looking for alternative energy sources. One of the most feasible options is solar power. Solar power has been around for a while, but it is becoming a more reasonable option because of the lower prices, and improved efficiency, of solar panels. Now, it is possible for homeowners to use the same amount of power and receive a utility bill that is much lower than before because of solar panels. A solar panel installation in Ventura, and other Los Angeles counties, is a sound investment for the home and for the planet. Ventura County has already embraced solar power in a big way. In 2010, the county installed a 492 kilowatt solar energy system on many of the county buildings. Also, over forty of Ventura’s schools use solar power to cut down on costs. Aside from the savings, solar installations double as educational centres to help students learn about solar energy. So, Ventura County is one of the more solar friendly places in California. Unfortunately, it is also prone to wildfires, such as the devastating Thomas Fire of December, 2017 – January, 2018. Wildfires can affect the performance of solar panels because the ash they produce can obscure the sunlight, preventing the panels from operating at full efficiency. However, solar panels are not a fire risk, so safety is not a concern. The average price of a solar installation in Ventura County is $3.48 per watt, so the cost of an installation depends on the power output of the system. The outputs of solar arrays range from 3 kilowatts on the low end up to 12 kilowatts for the more expensive systems. The average homeowner uses a 5 kilowatt system, so the average price of an installation is in the $17,400 range. Note that this price varies depending on the number of panels needed for the home. Whatever the price of the solar installation ends up as, it can be reduced thanks to the federal Investment Tax Credit (ITC). This incentive provides a 30% rebate to any homeowners who purchase a solar array for their home. This can drastically reduce the cost of an installation by thousands of dollars. The savings on the utility bill are the main incentive, of course, but a solar panel array has other advantages. The LADWP’s (Los Angeles Department of Water and Power) net metering program is a strong incentive to go solar. If a homeowner generates more power than they use, they receive a credit on their utility bill, so it is entirely possible to receive a bill of zero dollars during periods of low power usage. The LADWP also offers rebates for installing a solar array via the SIP (Solar Incentive Program). The SIP offsets the cost of an installation on residential buildings by 25 cents per watt, which reduces the cost of a solar installation even further. There are intangible benefits as well, such as an increase in the value of the home by thousands of dollars. The reason is that a home that can save the owner money is a valuable proposition. As Ventura County is one of the most solar friendly places in the Los Angeles area, it is the perfect place for a homeowner to install solar panels on their home. The benefits are many, and the drawbacks are non-existent. With the cost of solar panels constantly falling, and the number of incentives and rebates available, solar power is more affordable than ever. 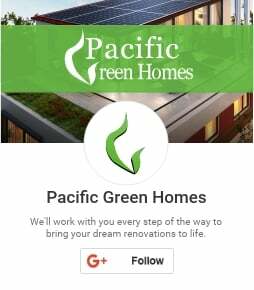 Any Ventura County residents interested in solar power should contact Pacific Green Homes for the best solar array advice and the best installation services. We will help you determine the power output and size of the array your home needs. We will also perform the installation quickly and efficiently with minimal disruption to your life. So, get in touch with us when you are ready to join the solar power revolution.